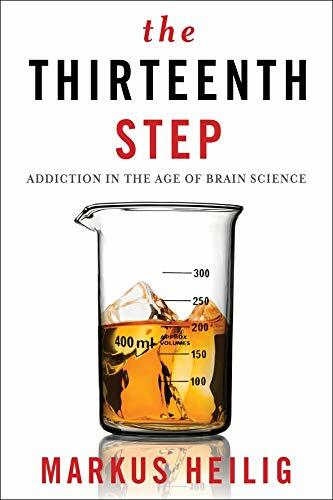 [PDF] The Thirteenth Step: Addiction in the Age of Brain Science | Free eBooks Download - EBOOKEE! Description: The past thirty years have witnessed a revolution in the science of addiction, yet we still rely on outdated methods of treatment. Expensive new programs for managing addiction are also flourishing, but since they are not based in science, they offer little benefit to people who cannot afford to lose money or faith in their recovery. Clarifying the cutting-edge science of addiction for both practitioners and general readers, The Thirteenth Step pairs stories of real patients with explanations of key concepts relating to their illness. A police chief who disappears on the job illustrates the process through which a drug can trigger the brain circuits mediating relapse. One person's effort to find a burrito shack in a foreign city illuminates the reward prediction error signaled by the brain chemical dopamine. With these examples and more, this volume paints a vivid, readable portrait of drug seeking, escalation, and other aspects of addiction and suggests science-based treatments that promise to improve troubling relapse rates. Merging science and human experience, The Thirteenth Step offers compassionate, valuable answers to anyone who hopes for a better handle on a confounding disease. No comments for "[PDF] The Thirteenth Step: Addiction in the Age of Brain Science".